Every social network has its eye on getting people to buy stuff, but photo-based networks have an inherent advantage. You come to those sites literally to look at things. Buying something is the logical next step. Pinterest has already introduced tools to let users identify, and then buy, objects in photos, and now Instagram is finally following suit. 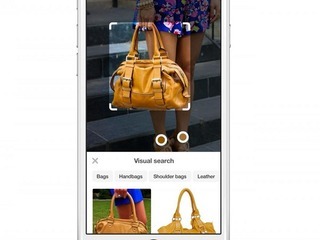 The company announced new tools to allow retailers to more easily sell their goods via their posts, and for users to find out how to buy them, through shoppable tags. Each post will have a "tap to view" icon at the bottom left of a photo, which will produce a tag on multiple products in the post. Once a tag is selected, a more detailed view of the product will open, including more information about the product, including price. While this does allow users to get more information within Instagram, without needing to leave the app, at this point that doesn't apply to actually buying the item. If the user clicked the "Shop Now" link, they'll be taken to the business' website to actually make the purchase. 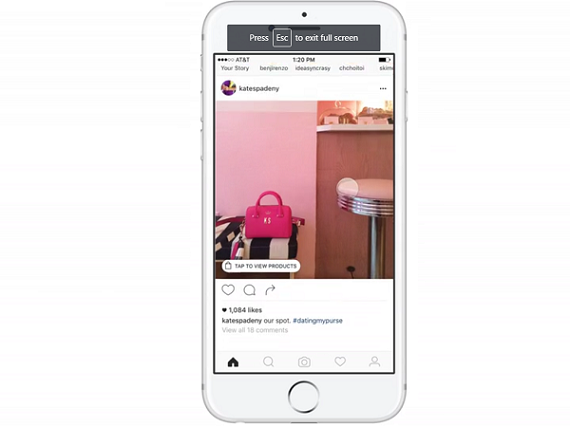 Instagram is testing these features out with 20 US-based retail brands including Abercrombie & Fitch, BaubleBar, Chubbies, Coach, Hollister, J.Crew, JackThreads, kate spade new york, Levi’s Brand, Lulus, Macy’s, Michael Kors, MVMT Watches, Target, Tory Burch, Warby Parker, and Shopbop. Each of them will be able to showcase up to five products, along with their prices, per post. "Knowing that Instagrammers are open to discovery on the platform, and that people take time to better understand the products they’re interested in, this test gives our community valuable steps along their shopping journey before they make a purchase," the company wrote in a blog post. While Instagram doesn't say how it plans to make money from these new features, James Quarles, Instagram’s VP of monetization, told TechCrunch that it won't be by taking a percentage of each sale. Instead, it will be basically through advertising: by allowing brands to show shoppable photos to users that don't follow them. The company is also already thinking about regarding more shopping features, including product recommendations and the ability to save content. It also said it will work on "ways products are showcased to shoppers." "We want to understand how to deliver the most seamless shopping experience for consumers and businesses on Instagram, and ultimately mobile." During this initial phase, the new features will be available to a group of people on iOS devices within the US, but it eventually also has plans to make these shopping features global. Why it took so long for Instagram to introduce these features is anyone's guess, but it will have to do a lot of catching up to Pinterest, which long ago realized its value as a place for users to discover items to buy. Over the summer, Pinterest began allowing that to happen automatically, meaning that when someone opens a photo, they will right away see a list of all the items in the image that they can search for. Pinterest also said it is developing technology so users can do the same thing in the real world. All they'd have to do is take a picture of something, and Pinterest will give them a recommendation on where to find it. They would even do the same thing for multiple items in the same photo. In addition, Pinterest already allows users to buy goods in-app through Buyable Pins, which, as noted above, Instagram users can't yet do. That is not to say that Instagram can't catch up, and even surpass Pinterest. It certainly has the user numbers on its side; Instagram passed 500 million users in June, doubling the number in two years. Pinterest only had 100 million monthly active users as of last year, the same number that are currently using Instagram Stories on a daily basis. VatorNews has reached out to Instagram for more information. We will update this story if we learn more.